Pam Woods is part-time teaching fellow, freelance teacher and choreographer and independent dance artist, with a professional career spanning over 30 years in the performing arts. She commenced her studies as a theatre student at University of Birmingham in the 1970s, where she had the good fortune to work with Clive Barker as he was establishing ‘Theatre Games’. She, however, decided to follow her lifelong passion for dance. Having obtained a B.Ed in dance she went on to train professionally at London School of Contemporary Dance and performed with a number of small-scale dance companies before establishing herself as an independent dance artist. As the first dance animateur for Peterborough she established a thriving community dance programme, then went on to head dance studies at Oxford College of Further Education, all the time maintaining her life as a creative artist. Over the years she has collaborated with a wide range of visual artists, musicians, writers and other dance artists on projects. 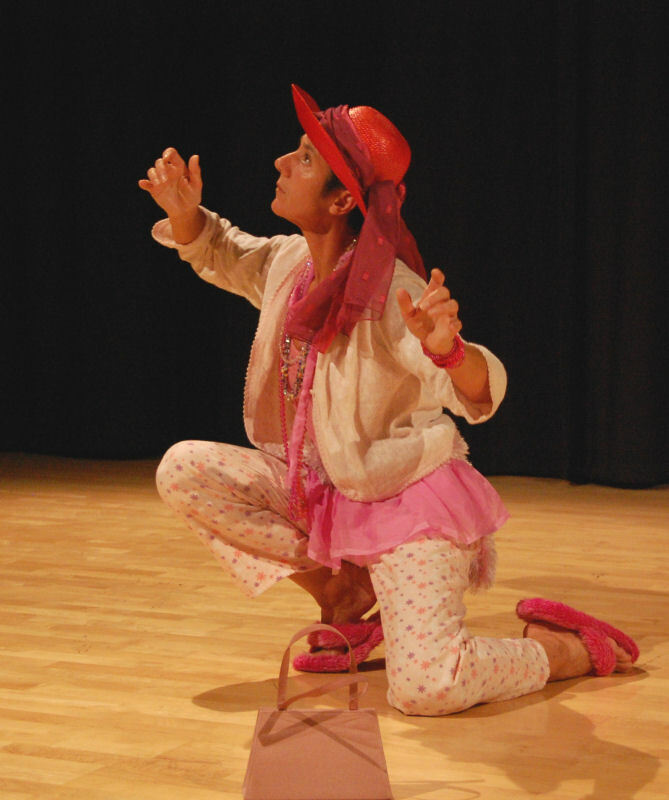 Following an MA in Theatre Practice at the University of Exeter in 1998, during which she began to work in response to site and develop ‘Sounding Dance Improvisation’, Pam became the first postgraduate at Exeter to research towards a PhD in Performance Practice, which she was awarded in 2003. 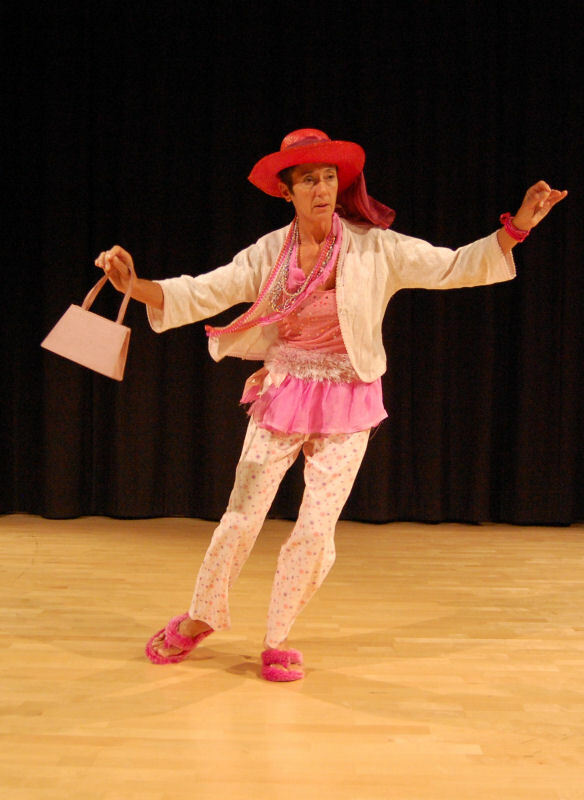 Pam has developed an international profile as performer, choreographer and teacher. She was artist-in-residence at University of Tasmania in 2006. In 2005 and 2007 she worked with choreographer Deborah Hay on two Solo Performance Commissioning Projects, ‘Room’ and ‘The Runner’ respectively, and has performed these solo adaptations in Britain and abroad. She created a piece in collaboration with colleague Mick Mangan at the Tagore festival off-shoot at Exeter Bike Shed theatre in 2011. A recent initiative has been to facilitate ‘dance-lab’ - experimental studio time to investigate collaborative creative practice with Exeter based artists involved in dance, theatre and music. Dance-lab Collective was formed out of this and performed 'Archive 1' at Merge festival in July 2010 at Exeter Bike Shed theatre. Subsequently they have performed versions of Archive 2 and 3, sections of a larger piece based on the group's family history archives at Merge and Watch This Space performance platforms (2011and 2013) at Exeter Phoenix, Bike Shed and Norhcott theatres. They are currently developing the work to tour community venues in Devon..
‘Site as Source and Resource for Sounding Dance Improvisation’ (PhD Performance Practice, University of Exeter 2003): Sounding Dance Improvisation was the term Pam adopted during her postgraduate research. Her PhD investigated different relationships between movement and sound, in response to a wide range of sites of structural and acoustic interest, both external and internal. Additionally she conducted an overarching enquiry into the development of skills for improvisation in relation to physio-vocal praxis, including the role of perception. Altogether the PhD comprised ten experimental performance projects, including ‘A La Ronde’, conducted in the intriguing National Trust house in Exmouth. The final project, ‘Falling Among the Nettles’, also incorporated ‘memory as site’. Deborah Hay’s practice, which struck a chord with her in the final stages of her PhD. As Teaching Fellow, Pam is also research active and has presented papers and seminars, performed, and conducted workshops and projects at local and regional institutions, and internationally, including Latvia and Turkey (2003), Australia and New Zealand and South Africa (2004) and Tasmania (2006), where she was artist-in-residence at University of Tasmania (UTAS). ‘Room’, (SPCP 2005) adaptation of Deborah Hay solo, performed in Britain and Australia, including Tasmania 2006-2007. Pam’s interest in movement in natural landscapes has drawn her to the work of colleagues based in the region, Sandra Reeve and Helen Poyner. 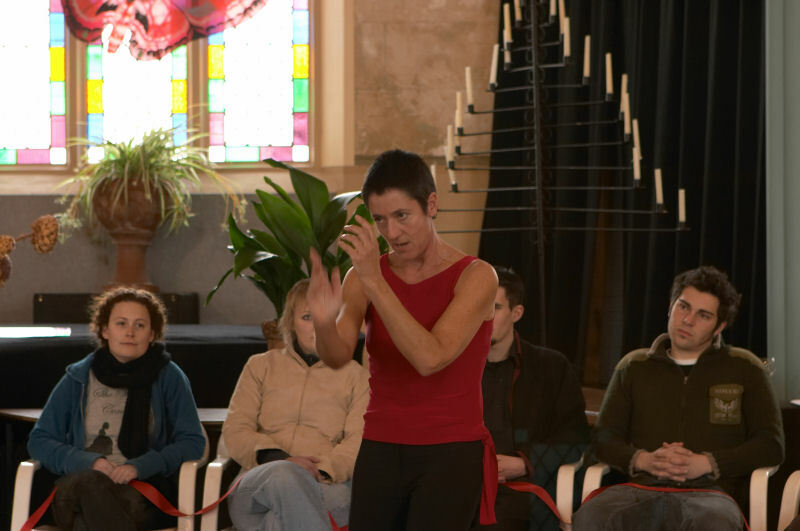 Pam has participated in several intensive workshops with both movement artists and joined Sandra for Lymefest in 2010. More recently she has attended intensive somatic practice workshops with colleague Ros Maynard on Dartmoor, incuding improvised performances. Solo Performance Commissioning Project (SPCP): In 2005, Pam was one of 16 international solo artists involved in the SPCP, organised by Independent Dance, at Findhorn, Scotland, with American choreographer Deborah Hay. Hay is renowned for her unique approach to ‘practice’, which places perception at its heart. The project was ‘Room’, a solo choreography to be performed in-the-round, which each artist developed over a period of three months of daily practice to create their own solo adaptation. While artist-in-residence at the university of Tasmania (UTAS) Pam’s performed her personal adaptation of ‘Room’ in five different locations, thus extending Hay’s work to meet her research interests into ‘site as the source and resource for Sounding Dance Improvisation’ and providing a rich resource from which to examine the process of adaptation. In 2007 Pam worked again with Hay (SPCP: ‘The Runner’) touring her solo adaptation 2008-2010. She hascontinued to perform the piece in different contexts, most recently at the Exeter Northcott Theatre ('Watch This Space' choreography platform 2012). 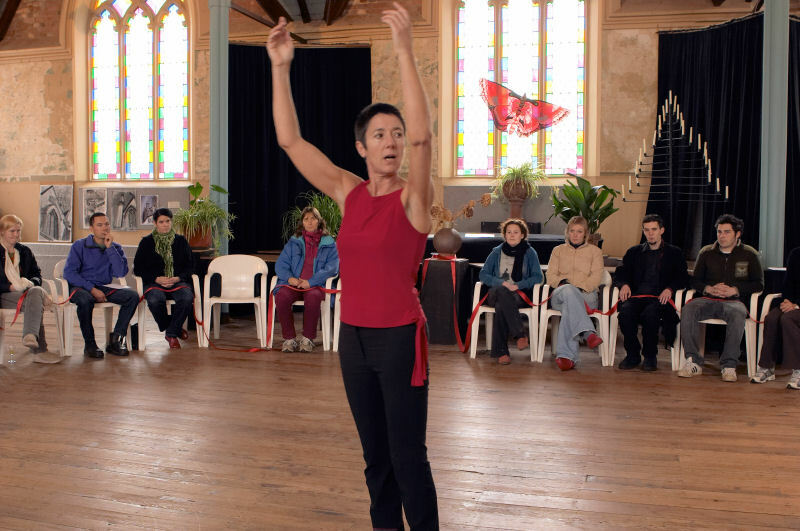 The residency was at UTAS, the Academy of the Arts at Inveresk, Launceston, Tasmania, which regularly invites international artists from different art forms to contribute to the vitality of the institution by pursuing their own practice and sharing this in some way with the community within the academy. The residency was made possible by generous support from the Lisa Ullman Travelling Scholarship Fund (LUTSF). Pam’s placement was with the School of Visual and Performing Arts. She was their first dance artist. 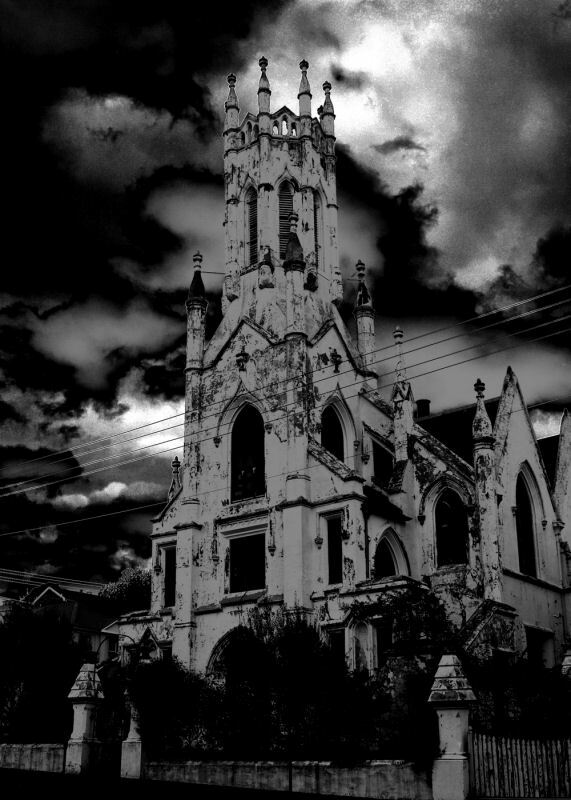 The residency led to many outcomes, including performances of ‘Room’ in five different locations: a disused railway yard; on top of the pump station, King’s Park; in Launceston Gorge; in Chalmers (a 19th century deconsecrated church); in the drama studio at UTAS. Pam facilitated a project with students on a Devised Theatre module, introducing them to principles of her praxis, which culminated in an evening length piece ‘A Sense of Place: Launceston Gorge’. During this time the Design Centre, Launceston, was exhibiting work by Brigita Ozolins, a video and sound installation entitled ‘Gorge’. Permission was gained from the centre and the artist to offer a personal movement response to the installation. Discussion with sculptor Marielle van den Bergh, resident artist from Holland at Poimera art gallery, led to an invitation to perform a personal response to her sculptures at the opening of her exhibition (11th August 2006). Drawing on experiences of responding to a variety of Tasmanian landscapes though movement and voice (‘Sounding Dance Improvisation’), Pam created a new solo work ‘Ode to Tasmania’, performed at UTAS (and on return to the UK), and edited a DVD: ‘Diary of a Madwoman in Tasmania’, a document of site-specific experiments which she filmed on her travels during the residency. Other projects: Details to follow.